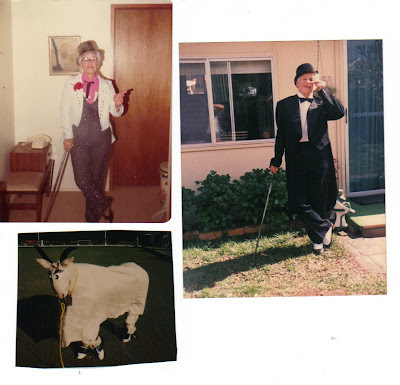 i think i have discovered where i inherited my love for tuxedos, sequins and costumes (as it obviously didn't come from my parents and there 'no fuss' attitude), this is my grandpa's mother. What great photos. It's wonderful to have some of your grandparents.